The Internet Giant Google recently launched a new UPI app - Tez. 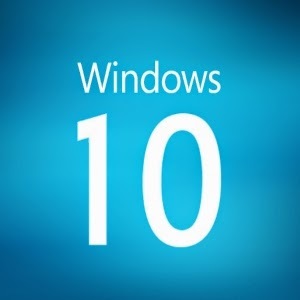 It offers a very responsive and cool user-friendly interface. It contains a wide range of features. Using Tez, you can make UPI payments and send money in seconds directly from Bank. It's 100% secure. Well, it's created by Google, there is not even a doubt of fraud. They are currently running a refer a refer and earn a promotional offer. You can earn real money and get it directly in your Bank. Awesome, right? Tez is offering Rs. 51 on signup and Rs. 51 for each successful referral. Well, if you haven't tried it till now, do it asap! Check below for steps. How to get started with Tez App by Google ? How to add your bank account in Tez App ? Done !! You will see you bank account displayed. Select that bank account under Settings >> Bank account. 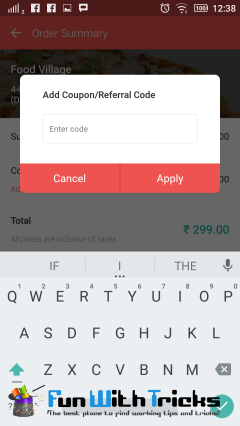 Once your friend installs the app using your link and makes his first transaction of Re 1 or more, you and your friend both would get Rs 51 free. Just send Rs 50 or more to any of your friends and ask them to send back. You and your friend will earn a scratch card each which can be viewed by clicking on Rewards button. Just scratch it and earn upto Rs 1000. We did it 2 times and got Rs 32 on first occasion and Rs 350 on 2nd. 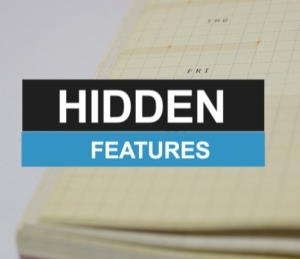 Hidden Features Every Android Smartphone user should Know! Android is by far the largest selling and most popular operating system in the market that gives tough competition to the likes of Apple and Windows phones. The comfort, adaptability, flexibility and customization that is offered on Android just cannot be matched by others which is what makes it such a hit in the market. Android phones are surely more customer centric and make their operating system as user friendly and engaging as possible. You can easily find a range of Android smartphones with shopclues coupons at great prices to get your hands on a stunningly fast and efficient smartphone. Most people set up a passcode or a lock pattern to keep their android phones protected however it can be quite cumbersome having to fill in those details every time you plan to unlock your phone. With Android 5.0 and above, you can make use of a feature known as the “Smart Lock” which helps you bypass the requirement of having to fill in a password of passcode in trusted environments such as home or in your car etc. You can also sync a wearable android gadget with your phone or set up trusted voice command to manipulate your phone. Almost everyone has gone through that heart attack moment of when they can’t find their phone and the worst part is that the phone is on silent which further aggravates your worries. You can make use of the Android Device Manager which gives you the option to locate, lock or even erase data if you feel your phone has been compromised. With this functionality, you can sign in from a desktop into your Google account which is synced with the phone giving you the option to ring, erase or lock your phone even if it is on silent mode. Android surely provides functionality like no other phone, and you can find a host of Android smartphones with ebay coupons for every budget and price for a truly immersive experience. 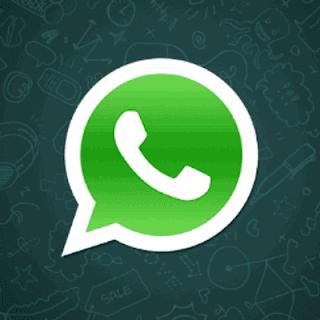 Most times people face difficulty keeping their messages or calls private as the notifications flash on the screen and can be viewed by others as well even when your phone is locked. You can easily hide sensitive data such as notifications by going into the sound and notifications panel in the settings menu. You can now go down to the notification option and select what action you want to take regarding notifications when your phone is locked. Though Android allows you to manipulate the size of the icons and text by giving you the option to enable “Large Text”, it is also now possible to zoom in on any screen with ease without having to download any external app to do this. Just go into the Accessibility menu option and open up the Magnification Gestures panel and turn it on. Now triple tap on the screen to zoom in and magnify for increased productivity. You can easily manoeuvre the text with two or more fingers to better engage with your screen. Many a time, our phones disturb us with unwanted calls and nonstop texts which can be quite disturbing especially if we’re travelling, in a meeting or busy in other important jobs. In order to restrict who calls or texts you, go into the Sound and Notifications Panel in the Settings Menu where you can find a feature called Interruptions. Now you find an option ‘Calls/Texts From’ which gives you the freedom to priorities and handle your contact list restricting certain numbers from disturbing you. Be sure to explore these wonderful yet handy features in the Android operating system that helps enhance user engagement and productivity manifold. 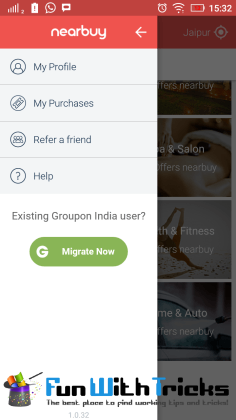 Recently Nearbuy app by groupon has launched the refer and earn program, in which they are giving Rs 100 to new user and Rs 100 per referral. So just Download and purchase with the below Nearbuy Coupon code and get any deal upto Rs 100 for free. Now at the time of check out use Nearbuy Coupon code or referral code. 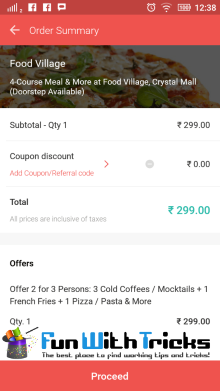 Tap on Add Coupon/ Referral code option. You will get flat discount of Rs 100 , no minimum purchase required. 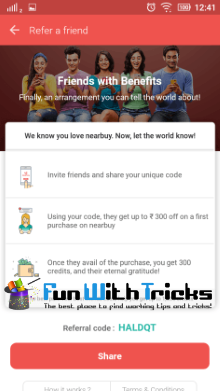 As you know that, now you need to refer your friend using your Referral code of Nearbuy and when they purchase any deal they will get Rs 100 discount and on redemption you will get Rs 100 Nearbuy credit in your account. You can refer max upto 15 people. SO you can earn upto Rs 1500. So just refer and enjoy free food, travel and lot. Flipkart is offering Huge discount on every product ! 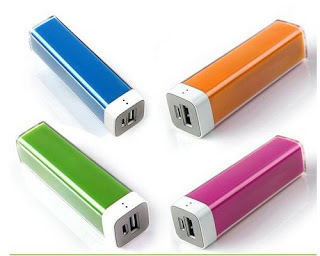 Today I am going to share another Maha Discount deal , flipkart is offering upto 80% off on Power banks and power bank starts @ Rs.149 Grab it fast because its limited period offer . Why Does Outlook Freeze When Sending A Message? Outlook is the proficient desktop client and has become one of the favorite of all the business organizations since it is simple to work with and stores much of the personal details of the individual. At the organization level, Outlook makes the works easier since it connects to the Exchange Server and records emails, contacts, calendars, notes, etc. However, when you try to send the mails or files from the Outlook, sometimes an error message “Outlook not responding” may appear. What are the causes for such results? The Outlook may stop the working or sometimes hangs while sending or opening a mail. In the segment, you will get to know about the reasons that causes and the solution for the recovery of the Outlook back to normal. Let’s see what makes the error window to prompt during the opening or sending the mails from Outlook. · The expired antivirus program may clash with Outlook. How to Resolve the Outlook From Hanging? The coming segment is all about how to resolve Outlook from freezing. Try the following procedure and see if it works well for your Outlook. Outlook may be hanged because of another instance running while you try to access. 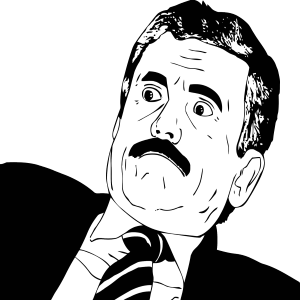 You will have to stop or close the previous instance for the opening/sending of the file or messages. Go to the Task Manager and select entire task that is running; Outlook.exe and click on the “End Process” for forcing the other instance to stop. The Add-Ins may make the Outlook to go hanged. You will need to remove some of the add-ins. For that, in 2007 Outlook user can go to Tools and navigate to the Trust Center>Add-Ins and then disable the add-ins accordingly and press “Go”. For Outlook 2010 and 2013 users, these options will be seen in the File tab>Options>Add-Ins. The increase in the mailbox size can contribute to the performance of the Outlook, leading to the Outlook to freeze. When the size of the mailbox increases, user can go for the “Archive” option. Setting “AutoArchive” option will help to reduce the size of the mailboxes. The Archive option moves the mailbox to archive location and reduces the size. User can see an “Archive” folder in their Outlook once the task is performed. The folders have got aging period and it varies with each folder. The Outlook is provided with inbuilt feature called Scanpst.exe for repairing the data files from damages. The location of the Scanpst.exe in 2013 is; C:\Program Files\Microsoft Office\OFFICE15. However, only minor corruptions or damages can be repaired using this utility. 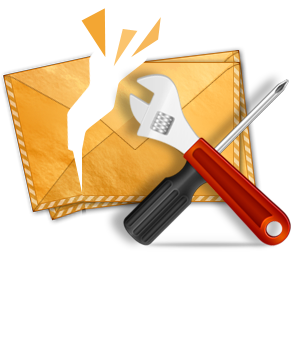 After scanning the files with utility if the file is repaired then, Outlook may work properly. But, if the damage is severe, Scanpst.exe will not be sufficient for fixing the damages. You will have to search for third party tool from the market. If none of the above solutions works, you may try for the updating. Sometimes, the installation of latest updates can help to resolve the problems to an extent. While updating the Outlook out-of-date files can get replaced. One should make sure that the updates are done properly. The updating of the Anti-virus installed in the system is necessary. You will have to get the latest updates. And one should make sure that the integration with the Outlook is not done since it can cause some issues regarding the performance. You can remove the anti-virus add-ins in the Outlook. This can help you to some extent. In-order to save the Outlook from hanging either of the above mentioned solution can be followed. The mentioned steps are simple and users won’t find it tough to work with. However, if none of the above steps went well, you can take the backup of the PST files and reinstall the Outlook. Later, user can import the files to the Outlook.